Passive Voice practice. Sts can talk about Christmas celebration too. The above downloadable printable is best suited for high school students and elementary school students at Elementary (A1), Pre-intermediate (A2) and Intermediate (B1) level. 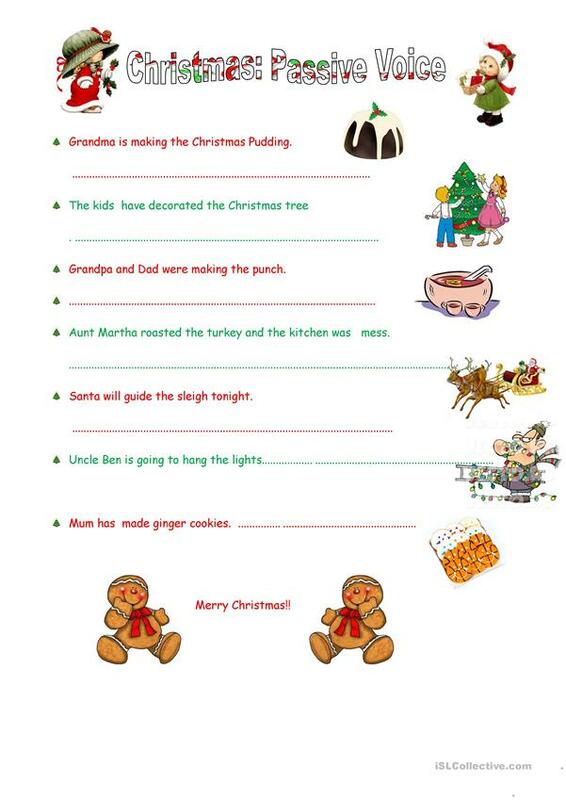 It is a useful material for practising Passive voice or active voice in English, and is a valuable material for working on your students' Speaking and Writing skills. It focuses on the topic and words of Christmas.